After three years in Qatar, I moved to China with my wife Jacqueline, where we spent seven years teaching in an international school in Shanghai. We then returned to Qatar in 2011 with our two young sons, Owen and Rhys, to join Compass International School Doha, also a NAE school. 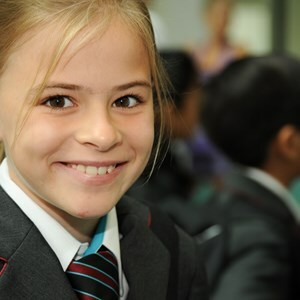 After five years back here in Qatar, we are all very excited about the prospect of joining NAS Dubai in August. 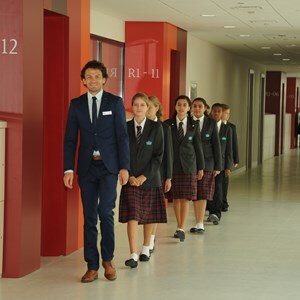 In particular, I am looking forward to helping NAS Dubai become a fully authorised IB World School as I head up our school’s IBDP authorisation process. 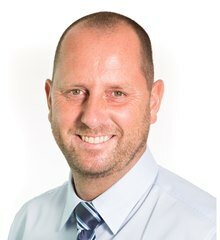 I have held various positions within schools including classroom teacher, Form Tutor, Head of Dept., Head of Year, Head of Faculty, IBDP Coordinator, IBDP Authorisation Leader and CPD Lead. In terms of my education, I hold a BSc (Hons) Geography degree, an MSc in Environmental Management, a PGCE in Geography and the ILMP Senior Leadership qualification. I am also a qualified IBDP coordinator, and am accredited with C1, C2, C3, IA and EE IB Diploma Programme Geography certification. Outside of school, I really enjoy spending time as a family with my wife with our two young sons taking part in a variety of outdoor activities including water sports, camping and long days spent on the beach! I also love watching our sons develop as young sportsmen as they try out new and challenging activities. Personally I enjoy a variety of sporting activities including football, running, swimming and mountain biking as well as listening to a wide variety of music and attending live musical performances. I also love to travel, and have been fortunate to have travelled throughout 6 continents and during the summer months, I love spending time at our family home in Portugal. I am a truly passionate educator, who takes great pride in helping to develop young learners as they move onto the next phase of their lives. I am therefore delighted to be joining NAS Dubai and look forward to becoming part of our school’s vibrant international community.